The Original Chipwich, featuring all-natural chocolate chip cookies sandwiching premium ice cream, makes a return to store shelves after being gone for seven years. The ice cream sandwiches are currently available at retailers in the northeast United States with plans to expand. 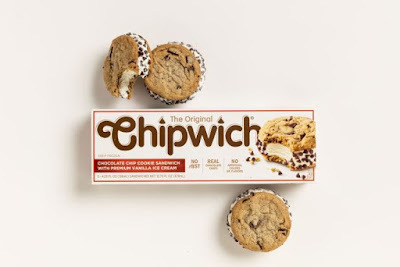 The Chipwich consists of two chewy chocolate chunk cookies with a layer of premium vanilla ice cream between them that is rolled in chocolate chips. The brand was last seen in 2011 when it was owned by Nestle and discontinued. It was acquired by Crave Better Foods last year and brought back this year. The 4.25-fl. oz. ice cream sandwiches are available individually-wrapped for a suggested price of $1.99 or in a three-pack for $4.99 (may vary). Photo via The Original Chipwich.